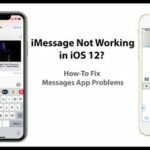 If you postponed a battery replacement for your iPhone, you should prioritize getting this done in December 2018. You pay a flat USD $29 battery replacement fee–but it’s only good through 2018! For our friends in the UK, the savings is even more significant, with a new iPhone battery running about 75 pounds and the replacement program charging about one-third of that, or 25 pounds! 2 iPhone Still Under Apple Care+ Warranty? 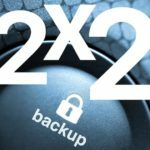 2.1 Not sure if you’re covered with Apple Care? 3 Previously Replaced a Battery? Apply for a Credit! 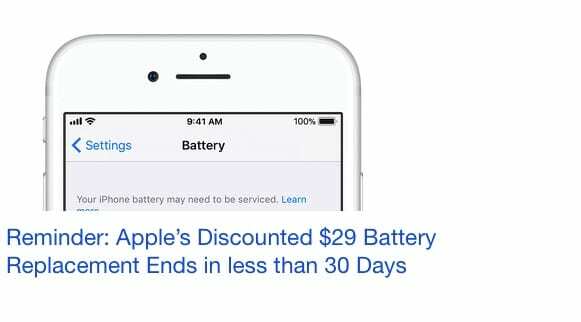 In December 2017, Apple announced a price reduction for an out-of-warranty battery replacement on iPhone 6 or later. Apple made this offer effective through the end of 2018. With the Holidays around, you get busier and may totally miss this offer. But don’t! 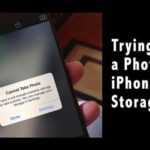 After December 31, 2018, the fee changes to $49 for older model iPhones except for the iPhone X Series phones, costing between $69-$79 to replace a battery. In the UK, the price jumps back to around 75 pounds. Why is my Battery icon Yellow? 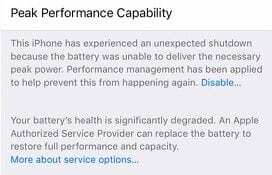 iPhone Still Under Apple Care+ Warranty? If your iPhone issue is covered by warranty, AppleCare+, or consumer law, Apple must replace your battery at no charge. Not sure if you’re covered with Apple Care? Check this link to see if you have AppleCare+ by entering your iPhone’s serial number. Previously Replaced a Battery? Apply for a Credit! If you replaced the battery prior to the announcement of the program, apply for a $50 credit. Apple is offering a $50 credit to customers who paid for an out-of-warranty battery replacement for iPhone 6 or later devices between January 1, 2017, and December 28, 2017. Any in-warranty iPhone battery replacements are not eligible for this credit. Eligible battery replacements must have been completed at an Apple authorized service location — Apple Store, Apple Repair Center, or an Apple Authorized Service Provider. 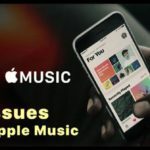 If you think you missed the opportunity or missed the email from Apple, you can still contact them before Dec 31st, 2018 for the $50 credit. 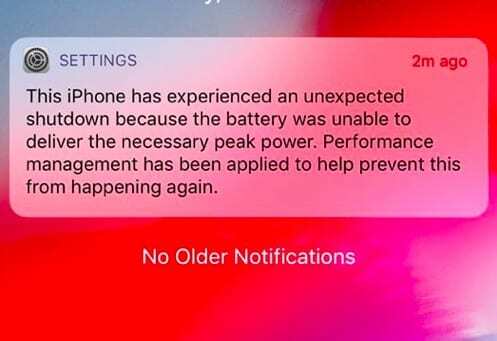 Unexpected shutdown issues also impacted a small number of iPhone 6S users a while back and Apple was offering these customers a free battery replacement. You can check your serial number at this Apple’s link to find out if your device qualifies for the free battery replacement. If your iPhone is running an iOS version older than iOS 11.3, you see the battery replacement notification when you tap on Settings > Battery. 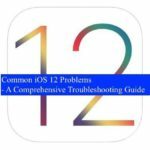 If your iPhone is running iOS versions iOS 11.3 or later, you will be able to find out the details of your battery health by tapping on Settings > Battery > Battery Health. The battery health message appears in the Peak Performance capability section of the Battery health report. 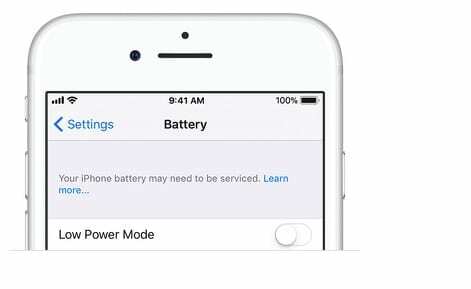 To check whether your iPhone’s battery is still viable, go to your phone’s Settings > Battery > Battery Health. Look at the statistics to see if your phone is working at maximum capacity. New phones should function at or close to 100 percent. 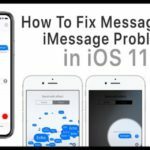 Older iPhones should be in the range of 81-100 percent, indicating it’s working but just not holding a charge as long as it once did. If you see anything at or below 80 percent, consider replacing the battery! Start by making an Appointment with the Apple Genius Folks. You can also directly chat with Apple Support to find out answers to any additional questions that you may have. 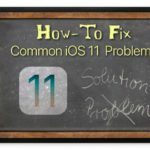 Making an Appointment with Apple Genius is easy and the battery replacement program requires that you make an appointment as opposed to walk-in into the nearest store. The replacement process does not take more than an hour usually. 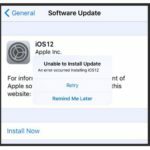 When you complete the appointment with the Apple Tech Support, they will be able to guide you through any necessary pre-requisites. Once again, Remember that the $29 battery Replacement is only available through the end of 2018.